Telescope placed in orbit above Earth’s atmosphere (600 km), making it possible to observe the universe as never before. Panel that opens and closes over the telescope’s optical system. Part containing, in particular, a cooling system that protects the scientific instruments. 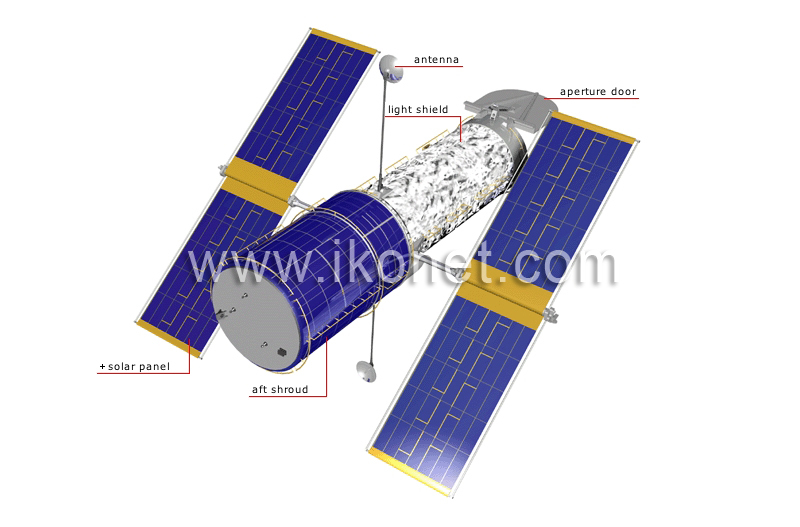 Conductor that transmits images to Earth by means of a communications satellite. Prevents stray light from entering the telescope.